Lovage: A traditional English herb that used to be widely cultivated throughout the country in the middle ages. Lovage was known as Love Ache, ache being a medieval word for Parsley, so Love Parsley. In the middle ages the seeds were used in love potions. It was also the original air freshener, medieval ladies would wear a bunch around their necks to ward off unpleasant odours. This is a very versatile herb, the leaves can be used in salads, the stems as a vegetable and the seeds as a spice. We use lovage seeds, whilst the leaves and stems have a celery like flavour the seeds have more of a thyme flavour with a hint of spice. Due to its height Lovage would form the focal point of many Tudor knot gardens. Lemon Balm: Used in the Tudor period as a dressing for wounds, its application described by Gerard, the leading botanist of that time as ‘The juice of Balm glueth together greene wounds’. Today it is commonly used for stress relief. It also is used in ice cream and confectionery as a flavouring. We use the leaf of the lemon balm to add a sweet lift to the gin in tandem with the lemon and orange zest. ‘A rose by any other word would smell as sweet’ Romeo and Juliet. ‘But earthlier happy is the rose distill’d Than that which withering on the virgin thorn Grows, lives, and dies in single blessedness.’ Midsummer night’s dream. Rosemary: “There’s Rosemary, that’s for remembrance, Pray you love, remember.” Ophelia may have pleaded with her brother to remember their father’s death while she teetered on the brink of madness, but rosemary was anything but forgotten in Hamlet’s day. In fact, the herb has long held a reputation for enhancing memory, honouring the dead, and scattering negative vibrations to the four winds. We feel rosemary compliments the lovage and lemon balm perfectly, helping to fuse a delicious herbal flavour into our Gin. Angelica Root: During the Middle Ages angelica was one of the most important herbs in the garden. The root, stem and leaves were all used in the treatment of digestive, bronchial and circulatory problems. Since then it has been discovered to be a great fixative, it helps to enhance the flavours of our Gin and bind them together. Juniper Berries: Juniper has been used for centuries in food, drink and even to protect people from catching the plague. Juniper is essential in making Gin and is the key ingredient in Stratford Gin, bringing that glorious piney resinous flavour that we have all come to recognise and love. Coriander Seeds: Brought to Britain by the Romans, Coriander has been a popular herb for centuries. In the Tudor period Coriander seeds were coated in sugar and eaten as a sweet. 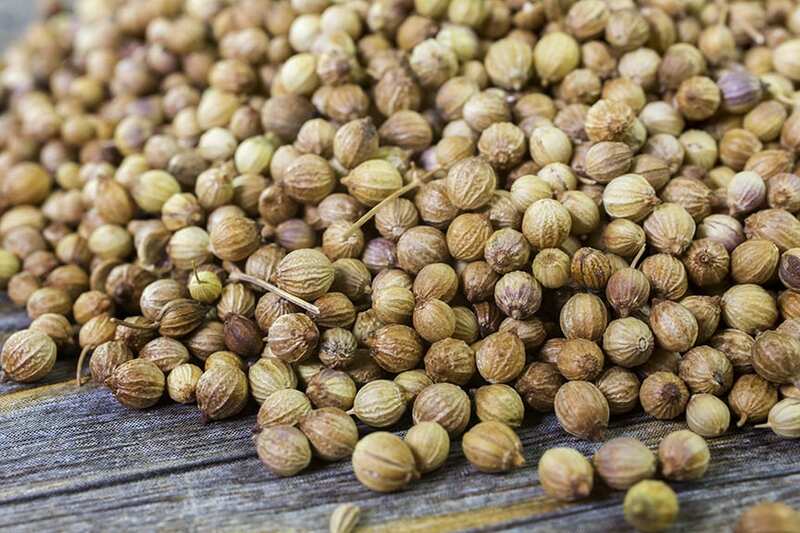 We use Coriander seeds in our Gin, they bring a lovely spicy lemon flavour which helps give our Gin a refreshing taste. Oranges and Lemons became popular imports during the tudor times for the wealthy. They add a nice fresh citrus sweet lift to our Gin, a great compliment to the herbs.